How Can Proper Landscape Lighting Benefit Your Home? > Blog > Electrical > How Can Proper Landscape Lighting Benefit Your Home? Everyone instinctively thinks that exterior lighting is important, yet many homeowners don’t do enough to maximize it. Perhaps, it’s still unclear why it actually matters, especially when one is used to having little of it. When cleverly placed, exterior lighting fixtures, like wall sconces, can make your outdoor spaces usable after the sun sets. They illuminate the pathways for wayfinding purposes and brighten up the porch, patio, or deck area for late-night activities. Any electrician would say that landscape lights aid visual performance. Sometimes, the beam of the moon would suffice to help you see at night, but it could be extremely dark when the sky is cloudy. Even if you know your yard’s layout by heart, it can still be hard to navigate the outside of your home without adequate lighting. Abundant lighting can make for excellent deterrence against burglary and vandalism. Experienced and determined intruders might still try to break into your home, but they will think twice when they can’t hide in the darkness. Many vandals can easily feel discouraged when they can’t find blind spots to go unnoticed. Design-savvy electrical contractors would agree that properly lit landscaping contributes to curb appeal. With a good choice of fixtures and thoughtful placement, lights can lend more drama to the facade. You can highlight arresting features and de-emphasize less attractive ones. If you feel that your home exterior could use some decorative touch, adding sufficient lighting is a cost-effective way to achieve your goal. 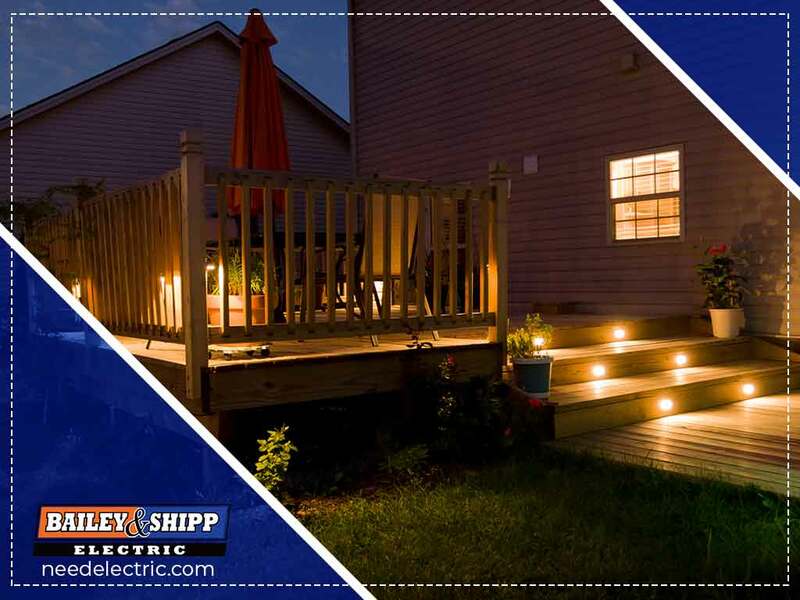 Bailey & Shipp Electric offers an impressive range of outdoor lighting solutions suitable for any home style. Call us at (410) 927-8606 now or complete this form to discuss your needs in Washington, DC or Northern Virginia, VA.